Follow @mcphoo Tweet What is a "whole protein"? And if you aren't a vegetarian do you need to care? And if grains complete veggies to make proteins, aren't grains evil these days - then can we still make whole proteins from plants? And what's whole wheat anyway? How's that different from sprouted grain? is that better? Are vegetarians driven mad by all this food science? Let's have a go. Context: It started with Black Bean Soup. When i first started going vegetarian it was a common saw to say oh wow if you eat beans you need rice to get a complete protein. I didn't think to consider what that meant; i just took it as gospel. More recently, when looking at veggie protein powders, folks will talk about their "profiles" to make decisions on which ones they want to use, when. This morning, having some awesome homemade black bean soup as part of breakie, the beans and rice question came up again as we discussed the seeming regional differences across the south west in terms of ratio (or presence) of rice to beans in burritos & chimichangas. Is rice with beans part of the "whole protein" story, and is that story a myth? The Skinny on "Complete" Proteins. to meet our "dietary needs"
As a refresher, essential amino acids (sometimes represented as EAA's) are the ones we can't synthesise from other foods, but need. Here's the table of EAA's and amounts. A wee aside - Histidine: Histidine is kind of a weird one it seems, that seems to be context dependent as to whether or not it's an EAA or non-EAA. It shows up in lists of non-essential AA's too. Another Aside - BCAA's: You may note that the popular in the weight lifting space, branch chain amino acids or BCAA's are part of the EAA's - these are Isoleucine, Valine and Leucine. Why? As i understand it, they're metabolised in the muscle rather than the liver, so they are the onsite, on board amino's used for muscle building, of which the biggie is Leucine. This finding has lead lots of folks to think BCAA's (or more recently just Leucine) must be the best way to go for muscle building. Well, it seems we're more complex than that. So while there are many many studies showing how great BCAA's are, for some strange reason, i can't find studies that pit say whey isolate head to head with BCAA's. Mike T. Nelson, who's doing research on metabolic flexibility, however, is not the only exercise expert recommending more complete packaging of EAA's for benefit (as per this minute with mike). Seems we also need the other things that come from complete proteins for all things bright and beautiful for food. A few more notes about the EAA's. In a piece by Lyle McDonald, McDonald makes a further clarification about AA's: essentially all proteins are complete proteins, in that they have all the AA's in them, but *some* of those AA's are there in differing amounts. So, the idea of combining foods is to bring together the missing bits, we'll talk about this next. So now we know we're looking for EAA's in certain amounts in order to hit complete protein world. TO get it out of the way, meat, fish and dairy all are complete proteins. So let's set those aside for a sec. Different plants are EAA incomplete in different ways. Hence the reason for blending. A trad heuristic'y way to get at combos is the grouping of same: group 1, breads, cereals, grains completes any of group 2 legumes, group 3 veggies, group 4 nuts and seeds. We can get a little more refined about combinations of plant based foods based on understanding specifically what the "limiting amino acid" is - what EAA a food is lowest in and then design up from there. There's a nice table with some examples here at sheknows listing foods low in say tryptophan (eg, green beans, brown rice) or lysine (eg, yams). So combine some of these together and get your EAA benefits. In other words, you don't even HAVE to use grains to get your wholes (though some sites still act like you do). These are good lists to have since sites that focus on "amount of protein" in a plant item aren't conveying the, er, whole EAA picture. What about beans and rice?? Does this mean that there's truth to the beans and rice combo afterall? Based on the above, seems that would depend on what kind of beans we're talking about. The wonderful black bean (which in some places seems to go by the name "turtle" bean), staple of the burito, has a far more complete profile than say even the kidney bean. 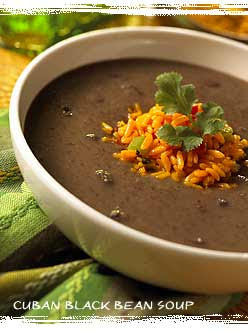 Just take a look at the black bean's GORGEOUS protein profile. Better than 100% of the EAA's! Kidney beans, by contrast have a score of 89% - no slouch. So, while the black bean seems a complete EAA source on its own, no acoutrements required, wrapping a kidney bean burrito up in a soft tortia (corn or wheat) takes care of the missing protein profiles, so rice seems like what it is: a cheap filler. Especially when it's white rice. Boo. Aside: Grains? And for folks thinking no way i'm not doing grains; grains R evil - remember that whole grains, sprouted grains etc are way way far from evil and can make great choices for protein completeness. They tend to get the evil label for a variety of reasons, but it seems few folks really discriminate between processed (low nutrition/high calories) and whole/sprouted grains (higher to high nutrition and lower cals). And just a reminder on what 100% whole wheat means for example: that's when the whole durn seed - bran, germ, endosperm - is ground up into flour and used for whatever's being made. Sprouting Aside By slight contrast, sprouted grains are living things (to make: get a whole grain - here's a list of candidates -from your local place to buy such food comestibles and soak 'em). To make bread, these sprouts get mashed up into a dough - not reduced to flour - and have up to three times the fiber of your whole grain flour. Isn't that interesting. Really - getting the daily requirement of fiber is no small thing. Lentils are super high relatively speaking, but every day? Also the enzymes that come along with sprouting can make the grain easier to digest. 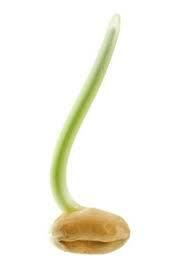 Germination apparently ups other nutrient content, too. Given the above, how can whole grains be evil? So given that getting one's lysine and tryptophan in order mean having to get all freaked out about the foods on the plate? Maybe a bit. But not much. First thing, we don't need to have the combo complements all in the same meal. Second thing, just understanding that the combos are needed for full EAA'ness, one may want to get a handle on food favorites and see what are the usual best complements to put together, especially if - no matter how one feels about grains - one is just trying to cut back on those more calorically dense carb foods. If you're curious, just check out the foods you usually like to plate, and then do a check on whether these make good EAA combos. Nutrition.com is an amazing resource here as it DOES give the complete EAA profile of a food. On the plus side, if we're already eating a variety of foods (lots of colors on the plate), apparently the likelihood of being screwed out of EAA's is vanishingly small. For the conscientious meat eater, understanding plant-based proteins offers up easy ways to cut back on meat consumption, dropping it back to a few times a week rather than daily, as the energy costs alone of meat are so so high. Once we get that we do get whole proteins from as simple a combo as a yam and a green bean, or just black beans, getting into richer, more colourful options may mean just that much more sweetness and eating delight. i'd like to thank Ryan D. Andrews from Precision Nutrition and PN Forum Regular Ron Ipock and their exchange with me on the PN forum about grains for prompting me to dig further into these questions. Precision Nutrition v3 - with plant based approaches to eating - the best program to learn more about food and you. Thanks for the shout out MC and good info! We need to stop thinking like a mechanistic reductionists. Yes, leucine has powerful metabolic effects, esp on mTOR1 stimulation; but there are roles for the other amino acids too. This is an awesome dissection of plant proteins. You have clarified a lot of confusion about plant proteins in the sense of being complete or incomplete proteins. I appreciate the details that went into preparing it. Look forward to more articles in the future.